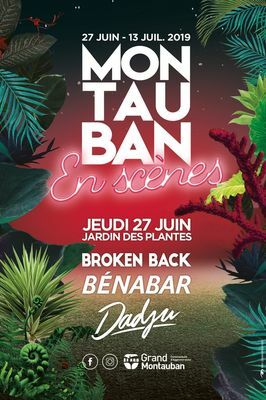 Eclectic and popular by nature, Montauban en Scènes is offering this year a summer meeting of a new scale to meet the expectations of its audience, immersing itself in a spirit more festival than ever ... Great novelty of the year, each of the 4 evenings will bring together 3 artists in the green setting of the big stage of the Jardin des Plantes. What to delight all audiences with moods House Electro Pop, Current Music French Song, Hip-hop RnB, Blues Jazz Soul. 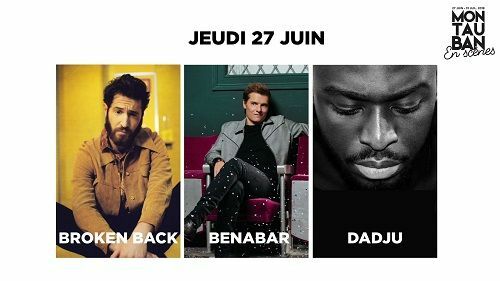 In a spirit of 100% festival, the 4 musical evenings will be organized around two spaces in the heart of the Jardin des Plantes: the "scene" and the "village". Side "scene", the regulars will find the layout that made the success of previous editions by placing the public closer to the artists. Side "village" is the great novelty of Montauban in Scenes 2019. With its own sound system, this new space will allow festival-goers to enjoy concerts broadcast on giant screens, while eating and entertaining in the "street" gastronomic and commercial ". This village will come alive from 18h, transforming the wait before concert into a festive and friendly moment. June 27 - CURRENT MUSIC CHANSON Broken Back + Benabar + Dadju BROKEN BACK: Broken Back has earned a reputation as a beast of the stage which earned him a nomination for the Victoires de la Musique in the "Revelation Scene" category. With a 1st album certified Gold Record, Broken Back asserts his status of essential artist of the new English-speaking pop scene during his complete concert at the Olympia in December 2017. His song Wonders, released on September 14, cumulates already more than 10 million streams and will soon be certified Single of Gold. BENABAR: With his new album, "The beginning of the sequel", Bénabar revisits the themes that are dear to him. Faithful to her trademark, made of tenderness, self-deprecation and humor, the artist takes us into her world to the rhythm of sounds more folks tinged with a touch of electro. In "The Beginning of the Sequel", there is talk of future, positivity and moving forward. With these timeless songs, you will smile, dance, reflect and maybe even cry. The Bordeaux Bénabar 2018 is a great vintage! 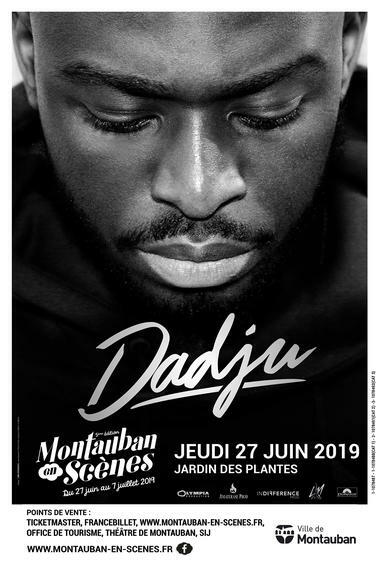 DADJU: Respect, women and their struggles, but also love and family are the main themes of Dadju's albums. His debut intimate album titled "Gentleman 2.0" was No. 1 Sales and Gold Record in just 15 days and is now 3 Platinum Disc! 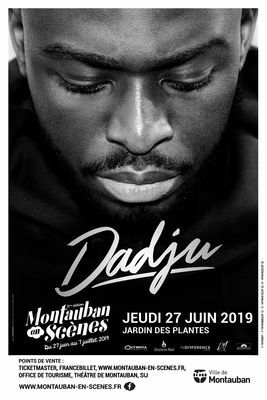 What makes Dadju's strength is this quasi-innate urban aspect mixed with sounds and texts that totally escape the codes of rap. The clip of his single Jaloux has been seen 10 million times in just over a week.